CHICAGO – 2014’s “The Golf Club” gave sports games a proper kick in the arse, booting out the pretentious hubbub of PGA Tour, its Pros, its Courses, and its ‘Majesty’ and ‘Prestige’, and replaced them with a Norm MacDonald-sounding caddy and a streamlined game of golf that let you play 18 holes in under an hour. Thanks to that game, my sister now owns real clubs, and you bet your cricket bat she’s hitting the local pitch n’ putt if winter ends sometime this year. Despite having the same potential to turn on new players, “Don Bradman Cricket 14” isn’t quite the ‘The Golf Club’ of cricket games. Cricket is a little more complicated and harder to wrap your head around, though Don Bradman himself is certainly the Tiger Woods of cricket. Actually it’d make more sense to say Tiger Woods is the Don Bradman of golf. Don Bradman’s batting average was .981. That’s equal to a lifetime .398 in baseball, and scoring 43 points per game, every game, in the NBA. Australia had a Don Bradman museum before it had a cricket museum. 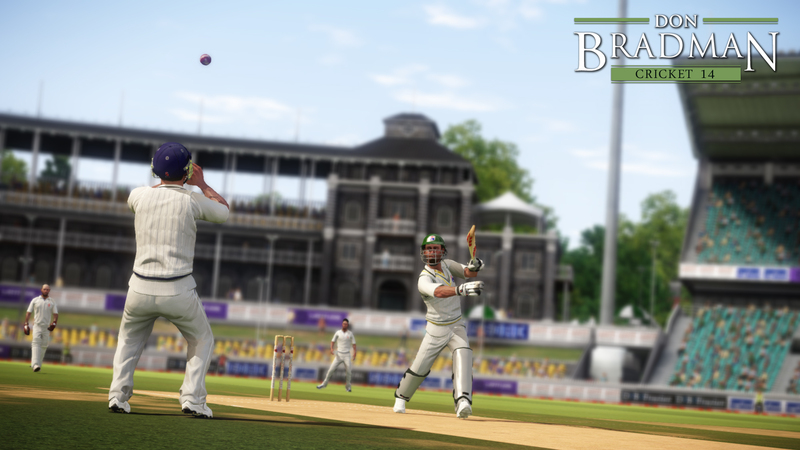 Don Bradman Cricket ‘14 is now Available on Xbox One, PS4, PS3, 360 and PC. Thus any game featuring Don Bradman will be for cricket fans, and is intimidating because of it. Scores are represented in fractions, there’s overs, innings, wickets, rounds, and boundaries, all presented as if I knew what any of this meant. Every sports fan has been in this position before; baffled by the complexities of a game but fascinated anyway - what’s a first down? What’s a pinch hint? What’s a one-timer? What’s a two-point conversion? The tutorials explain *how* to do things, but not why. To be young again. I learned the intricacies of our American sports - the pick-n-roll, the Tampa 2, the squeeze play, and Tennis’ weird scoring system with a controller in my hands. It’s possible you learned some geography from the Oregon Trail, or were nibbled by the history bug via Age of Empires. Gaming has phenomenal capacity to educate, and while “Don Bradman Cricket ‘14” is not intended as an educational tool, I’ve had a blast figuring out what I could. Well, I’m not sure what. 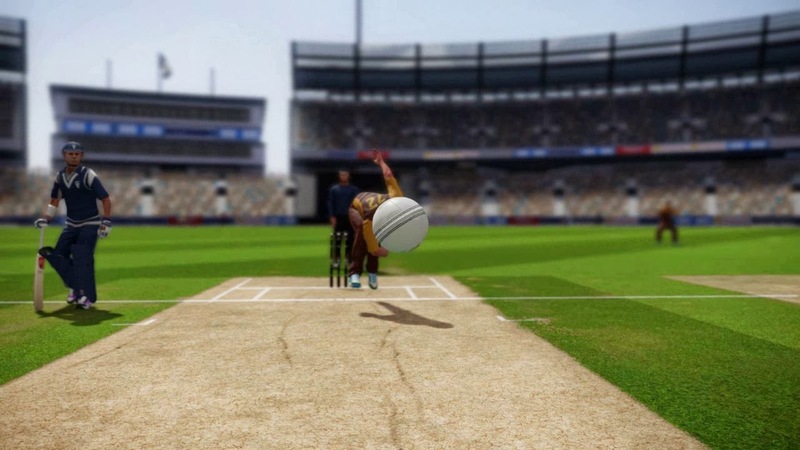 Outside of glitches like a batter flickering into a weird stance and occasionally confusing menu navigation - I can’t tell you if this game “accurately captures” the thrills of cricket because the only cricket I’ve experienced is from this game. And as far as that goes, it’s pretty good. It controls well, it is pretty, and rolling a perfect bowl and hitting the wicket is delight, as is slamming it out of the park as the batter. There’s a laid back atmosphere which speaks to the sport’s obsession with gentlemanly jocularity, and the menu music is catchy as all heck. However, none of this is spectacularly compelling. I doubt I will be hounding my local Gamestop to pre-order “Bradman Cricket ‘15”, but the game provides a window into something most Americans wouldn’t look through unless they were forced, or intensely curious. As an intensely curious person, I applaud “Don Bradman Cricket ‘14”, and the idea of it, more than I can fully recommend it. Is the idea of this game worth 59.99? For most people, no. But as an ironic purchase during a sale or prior to a gaming get-together? Abso-wicky-lutely. This a game that brings a half-millennia old game to American console owners. Games like Don Bradman Cricket are opportunities to expand ourselves beyond our couch, front door, town, state, and country - to not only see something we’ve never paid attention to, but aren’t really expected care about, either. As a soft rule, any game that doesn’t vomit all over itself gets three stars, a game that does what it sets out to do capably without much in the way of surprise gets a 3.5, and anything above that hangs solely on creativity, engagement, fun, and lunar phases. “Don Bradman Cricket ‘14” is exactly what you expect; a 60-dollar culture shock for Americans, and a no frills game of cricket for literally the rest of the world. There must be gamers out there who love that sort of thing; Who understand there are hundreds of sports and cultures out there that are actually fun to learn about *without* a BFG and mission objective in mind. Just because something isn’t educational, doesn’t mean it can’t teach you. And just because a game doesn’t “blow your mind,” doesn’t mean it isn’t worthwhile. I didn’t know who Bradman was, how Cricket was played, or that this game even existed a month ago, and I’d argue you didn’t either until you started reading this. Now we both do. Sorta. What’s that worth to you? 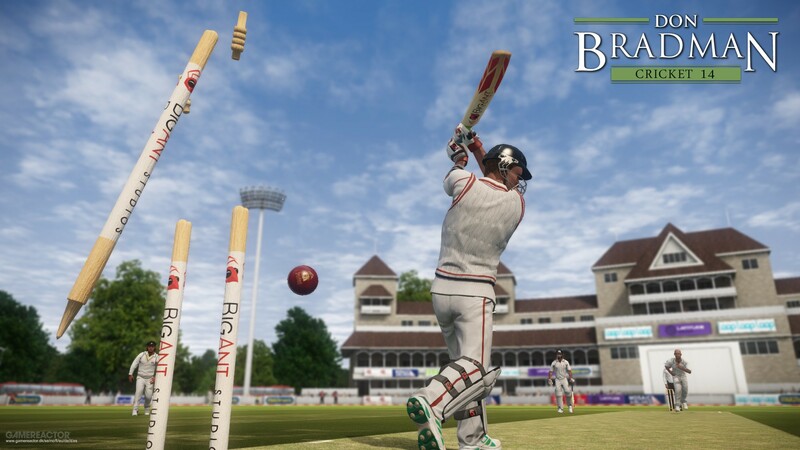 “Don Bradman Cricket ‘14” was reviewed on an Xbox One, but is available for PlayStation 4, PC, PS4, and 360. Submitted by Ross Symons (not verified) on March 3, 2015 - 4:45pm. Thanks for the review Paul, as someone that does not know the sport I think it’s great that you took the time and gave a fair and honest review. Submitted by HollywoodChicago.com on March 4, 2015 - 11:20pm. Thanks for reading, Ross! Keep up the great work!